I’m on an unusual sort of ski trip this week. My companions – some of whom may become new friends – have names such as DeeJayDee, faceplantress, Piste_Rider and Schuss in Boots. Some of them bring laptops to breakfast and there are smartphones, headphones and gadgets aplenty. No, it’s not some kind of secret conference, but the “pre-season bash” of an internet forum called Snowheads. Or, more correctly, snowHeads. As a recent arrival to the forum, I’ve found it an excellent source of anecdotal info from its opinionated, usually well-informed users. In turn I’ve answered various questions put by other snowHeads, sometimes by linking to a relevant post on this blog. More than 27,000 people are registered to the site, 120 of whom are on this holiday. 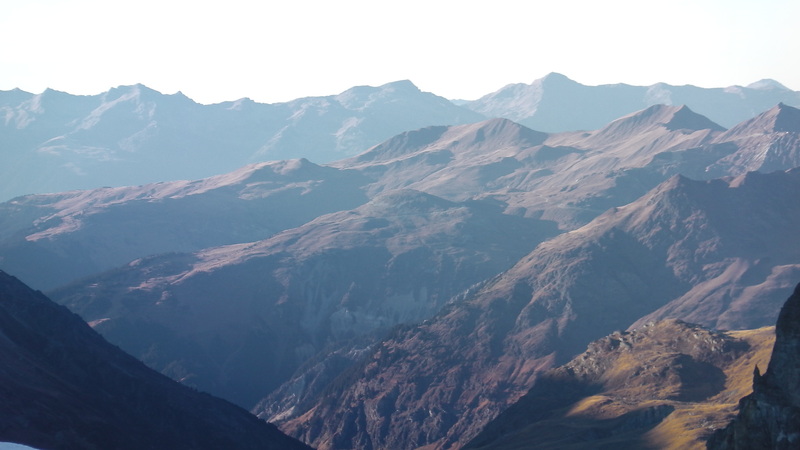 A friend and I wanted a super-cheap, high-altitude late November ski holiday with some new people, so we went for this. 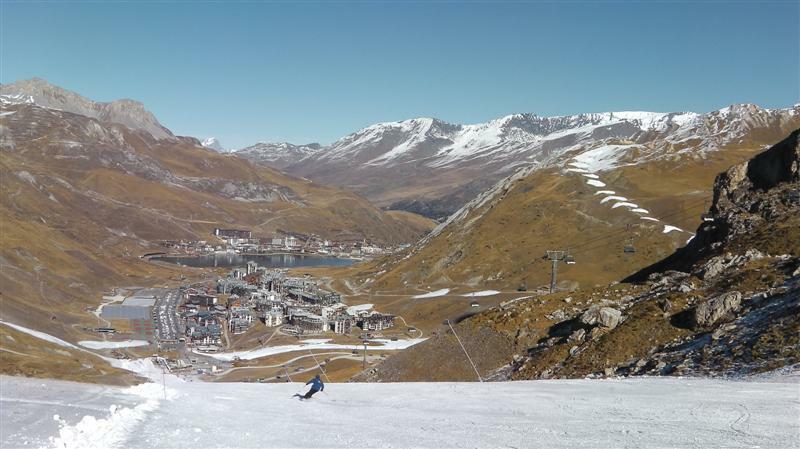 We’re in Tignes Val Claret, one of a handful of places in the Alps with reasonable snow at the start of a winter that hasn’t yet arrived. Almost exactly a year ago, when I was in Tignes Lac doing the Ski Club of GB leaders’ course, we had daily blizzards and temperatures were as low as minus-30. 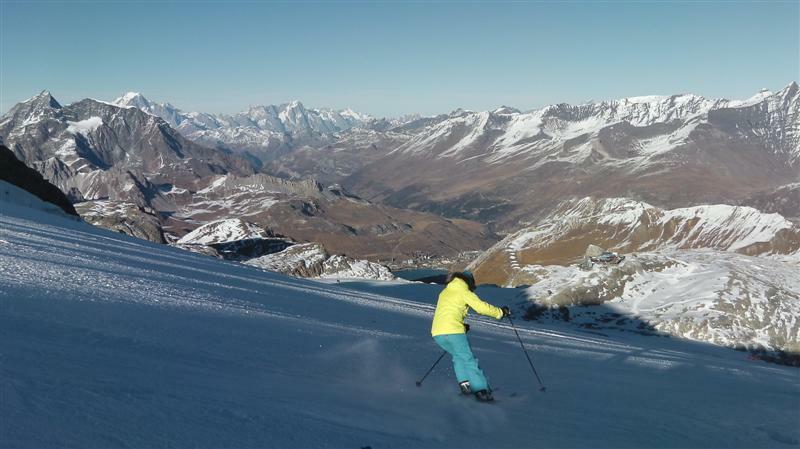 This time, it’s glacier skiing only, plus artificial snow down to the resort. However, conditions are surprisingly good; wintry, grippy snow, with the odd slab of glacial ice underneath to keep you on your toes, plus blue skies, and views that look more like the Atlas mountains in summer than the Alps in winter. It’s busy but not over-run, with French, British, Americans and other nationalities race-training, the French army attempting some off-piste and a ski school or two doing pre-season training. 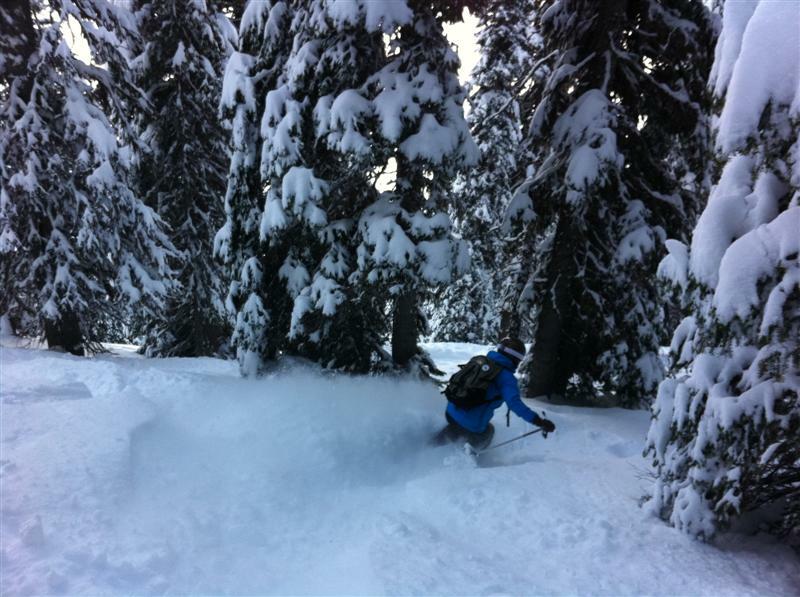 Several ski firms have brought their latest models for our group to try – and plenty of non-snowHeads are testing them too. 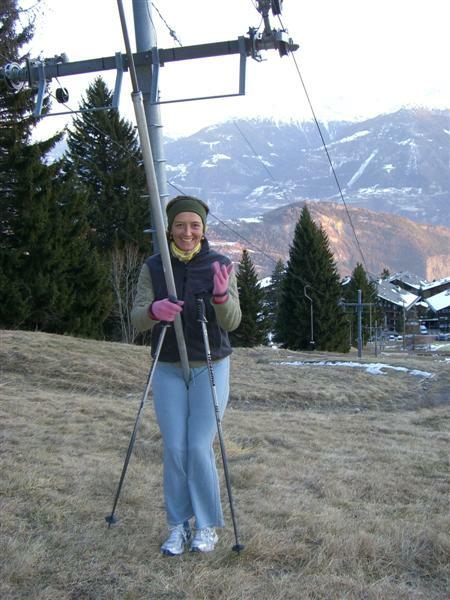 Bridget – the friend I’m travelling with – and I enjoyed matching pairs of Kneissl GSes all afternoon: much better on the piste than our all-mountain planks. 21/11/11 – Will it be a white Christmas? Several weeks of mostly sunny skies and a forecast for more of the same across the Alps is leading to uneasiness in European resorts and among the people who are planning to visit them in the Christmas holidays. 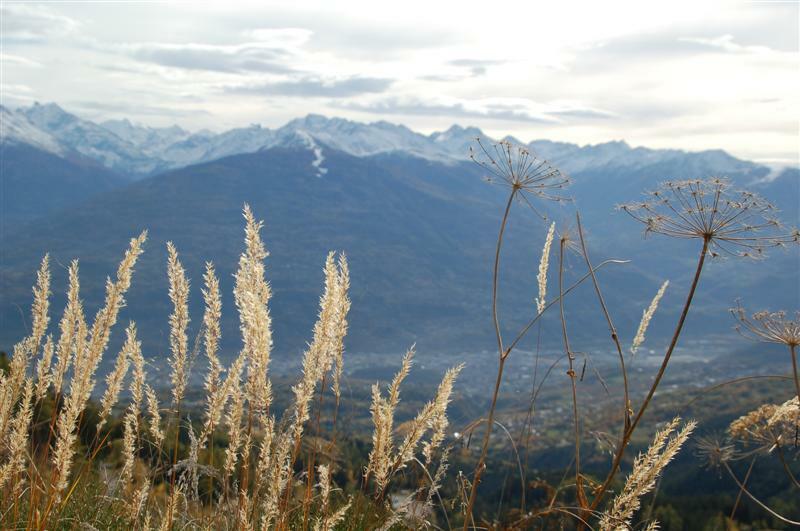 The lovely autumnal views I admired in late October, when I visited the Valais for a few days, look largely similar now, I’m told, if a little more criss-crossed by bright ribbons of artificial snow. Commentators in the papers are advising people to aim high early in the season. A friend of mine who works in Zermatt – where, I’ve heard, conditions on the glacier have been superb lately – sounds pretty worried on behalf of lower-altitude resorts. And a post on Snowheads, the forum for skeenites, entitled, ‘Is it too early for the OMG no snow thread?’ has had, as I write, 258 replies and 18,858 views since 4 November (http://tinyurl.com/88d54tt). 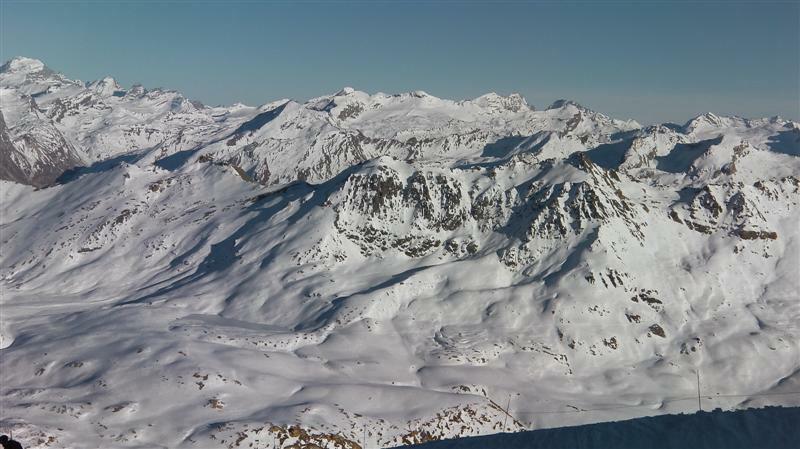 However, most years it is sensible to stick to high-altitude resorts early on, and I don’t think we should assume this European winter will be a dud (no concern, right now, in North America, where resorts such as Snowmass, Colorado, are opening early – http://tinyurl.com/7goveco). Look up snow records from past years and you’ll find many a November when cover was close to zero and a ‘normal’ season followed. I use the Ski Club of GB’s historic snow data, all the way back to 1993 – only visible to members, but if you like looking at statistics and are interested in snow, it’s almost worth the subscription (£58) for that alone. Alternatively, igluski.com has data you can see for free, back to 2007. It doesn’t take many days of snow to give reasonable cover. Another few storms like this one – http://tinyurl.com/7chpk3c – should do the trick. Failing that, wait for my sister and her family to drive to the Alps in mid-December. Snow never fails to start falling as soon as they load up their rather fragile Toyota saloon for the journey to Switzerland. They always need their chains as well as snow tyres, and sometimes they need towing, too. I went to a talk about off-piste recently. It was held at the Berghaus store in London and delivered by Nick Parks, a mountain guide from Mountain Tracks, a British company whose speciality is off-piste and touring courses and adventures. Nick presented an “A-Z of Backcountry Skiing”, incorporating, for instance, T for trinity (the three-pronged kit of transceiver/shovel/probe), P for powder, C for conifers (“focus on the gaps; beware if there’s an area of little ones, where there might be a history of avalanches”) and A for avalanche (“you need three factors: instability in the snowpack, a steep enough slope and a trigger”). Less obvious choices included E for ‘eliskiing, J for Japan (“the lightest snow on the planet, but ridiculously expensive”) and K for Kashmir, where Mountain Tracks runs some trips. The alphabet, Nick confessed, was incomplete: he omitted G, L, N, O and Y. I will fill in the gaps. G is for gnarly (“show-off word to use in the bar”), gloves (“mittens are warmest”) or glacier (“don’t get excited about them: they’re often flat and bleak and you might fall in”). L is for loo roll (“carry spare in Italy as mountain loos often lack it”), lift pass (“uncool to let it flap around: use the little pocket on your arm”) or legs (“get strong ones”). N is for nose-grab-tail-bonk (“mad-sounding snowboarding move described in Fall-Line magazine this month”) or neck-warmer (“essential piece of kit that, still, too few people know about”). O is for off-piste, of course. Y is for yellow snow (“do not eat, and create with care”), yodel (http://tinyurl.com/d4on5k7) or yippeeeeeeee – which it’s customary to yell while indulging in E, O, N or P – or perhaps if you somehow land a holiday to J or K.
Incidentally on the subject of lists, MT has also published a list of 25 ‘must-do’ alpine descents in the Western Alps. I’m alarmed to see I’ve only done five of them. Find it here http://tinyurl.com/d3hhu5b. 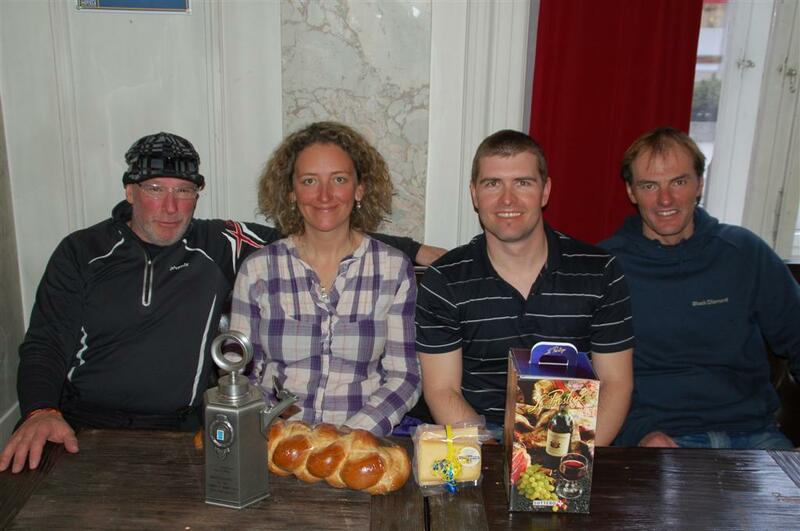 The winning Parsenn Derby team with prizes - guess whose time didn't count? More than 150 Brits do the Inferno each year, but what about the other amateur races people can do in the Alps? Last winter, I tried three for the first time – the Parsenn Derby, a downhill in Davos, Switzerland; the City Ski Championships, a British-run giant slalom in Courmayeur, Italy; and the Weisse Rausch, a mad end-of-season dash in St Anton, Austria. What I will add here is that racing as an adult, for fun, is immensely worthwhile, and you’d be surprised at the range of abilities these European amateur events attract. I’m looking forward to trying some more this winter – and may even try to fit in a bit of pre-season training (for instance, here http://tinyurl.com/6z8s5bj)!